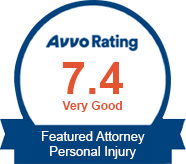 Hilo personal injury lawyer Louis P. Mendonca, Attorney at Law has an established reputation for zealously representing injured clients and securing the best results for his clients. His efforts have secured hundreds of successful verdicts and settlements on behalf of his clients. With over 25 years of personal injury experience, he has the knowledge, dedication and advocacy skills to guide you on the path to recovery. Car, bicycle, motorcycle and pedestrian accidents can cause serious injuries, but obtaining compensation from negligent drivers can be difficult under Hawaii auto accident law. Hawaii’s Personal Injury Protection (previously known as “no fault”) automobile insurance law is designed to provide injury victims with at least $10,000.00 in medical and rehabilitative treatment coverage, and optional wage loss and survivors’ loss benefits, but these types of compensation are simply inadequate to meet the needs of many injury victims. 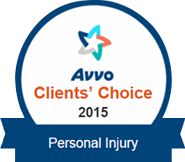 Insurance companies may also deny an injured victim’s rights to medical benefits. Louis P. Mendonca can help you navigate the system and get the medical treatment you need and the compensation you deserve, even if it requires standing up to the insurance companies and applying the full force of Hawaii personal injury law. For answers to commonly asked questions about insurance coverage and vehicle accidents, please see our Personal Injury FAQs page. Slips and falls can occur anywhere, including hotels, grocery stores, department stores and restaurants, or on city sidewalks and streets. In many cases, the conditions which caused the fall are only temporary, adding to the difficulty of proving the facts of the case. Louis P. Mendonca understands that significant injuries that can occur from such a fall, as well as the specific factual circumstances and legal issues that must be proven and addressed to ensure a successful recovery. Perhaps the most tragic event of all is when the negligence or wrongful act of another results in the death of a family member. Apart from the grief and pain of such a loss, the death of a loved one often brings severe economic disruption and financial hardship to the surviving family members. Hawaii wrongful death law allows the personal representative of the estate or immediate family member to bring suit on behalf of the surviving beneficiaries, holding the responsible parties accountable for their actions while obtaining much-needed compensation for the losses suffered by the surviving beneficiaries. Louis P. Mendonca understands the physical, emotional and financial stresses that people suffer after experiencing a serious personal injury or wrongful death, and dedicates his full effort to seeing that his clients get all of the assistance they need to ensure that they recover as quickly and fully as possible. Mr. Mendonca handles every case personally in order to provide the level of care and attention your case needs and deserves. If you need an experienced and effective injury lawyer who will fight for your rights, contact Louis P. Mendonca, Attorney at Law, today for a free personal consultation. Conveniently located in Hilo, our office serves clients throughout the Big Island of Hawaii. There is never an attorney’s fee unless we obtain recovery on your behalf.